I’m very excited to share, that beginning today, you will see our team in their red Zomato t-shirts delivering food to you. We’ve been adding to our Runnr team steadily over the past week; it is already 1500 strong, and growing by the day. Just to ensure that you get your food with a smile, and on time! Yes, that’s right, we just signed our long-rumoured acquisition of Runnr. Emotionally, the deal has been in place for a couple of months now, and both the teams have been working closely with each other quite some time now. So much so, Mohit Kumar, the Founder & CEO of Runnr, has been living in Delhi (moving from Bangalore) for about two months already. In May, for about a month after the first time Mohit and I spoke about potentially joining forces, he worked with the Zomato team closely to gauge whether the Runnr team would get along with ours. Zomato is an amalgam of many companies (online ordering, point of sales, infrastructure services, advertising, etc.) sharing a unified mission. The independent velocities and strengths of the different teams at Zomato gave the team at Runnr the required comfort that they would have all the levers they needed to build the business the way they always wanted to – while being aligned with a much larger mission. Mohit also realised that Zomato’s worldview included building an all-encompassing product and services platform for restaurants, and he saw exactly how Runnr could become the essential logistics company within (and beyond) Zomato. It made sense for him to go all in. For us at Zomato, we saw that we were going to be working with a team of extremely driven individuals who had figured out how to solve for a vital piece of our puzzle—the one that affects our user delight: logistics. With the combination of Zomato and Runnr, we have everything in the stack of building a delightful food delivery service in India and UAE – end to end – listings, discovery, reviews, ordering, and now, logistics. For the record, we have always maintained that the most cost-efficient delivery fleet is the restaurant’s own, where they can utilise the same staff during off-peak hours for back-of-house and marketing activities. That belief is still intact. Keeping that in mind, Runnr will continue to function as an independent logistics company (owned by Zomato) offering the full stack of logistical services to players other than Zomato as well – e.g. pharma, grocery, e-commerce, etc. This will ensure that the delivery fleet capacity that we build operates on a positive unit economics level while serving the mega-peaks in the food delivery business. Runnr is already efficiently fulfilling 300k orders a month – which is just a tad less than 10% of our food ordering volumes. Mohit will remain the Founder and CEO of Runnr and will continue developing his vision along with the rest of the founding team – Arpit, Mukunda, Gnanesh, Vatsal, and Aravind. The entire team at Zomato is very eager to work with Mohit and the team, and delight our users more than we have ever been able to before. We are also excited to work towards generating meaningful employment at scale using our logistics platform. 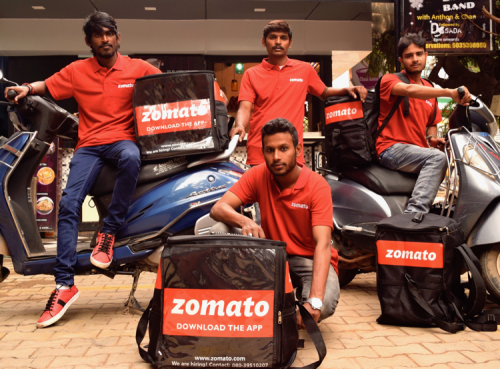 At Zomato and Runnr, the delivery boy is going to get the status of “most important employee” and is going to be treated like one. On my part, whenever I see a delivery boy on the road, I slow down (or stop) to respect the right of way. After all, every meal matters.